Thousands of choirs have joined in the celebration of World Choral Day on or around the 2nd Sunday in December in the past twenty years. Millions of singers across the globe have been involved in World Choral Day concerts, festivals, sing-alongs, choral seminars, Days of Friendship and other events. The IFCM views World Choral Day as an important opportunity to promote the social values of choral singing and invites the choirs of the world to celebrate World Choral Day and share your experiences with colleagues across the globe. Please write to WorldChoralDay@ifcm.net. Let us know WHAT EVENTS you are taking part in or organizing, HOW MANY people will be involved, WHERE it is taking place and WHO is/are responsible. The maximum length of any uploaded film is 15 minutes. We’ll upload them on Youtube for you! 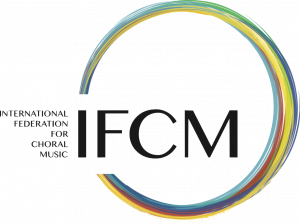 The IFCM announces themes for World Choral Day. In the year 2010 the theme will be “The rapprochement of cultures”. This is the United Nations theme for 2010 (also see http://portal.unesco.org/culture and look for rapprochement) and it also fits our aims with the World Choral Day. A proclamation written for the World Choral Day is usually read during the events. It has been translated into eight different languages and is available for download from the IFCM website. Thank you for making a case for Choral Music on World Choral Day! You can contact us at WorldChoralDay@ifcm.net.